Ford Fiesta 1.0 EcoBoost ST-Line Navigation 5dr Auto 2019 Review | What Car? What Car? will save you at least £1,485, but our approved dealers could save you even more. Want something a bit sportier? ST-Line trim is probably for you because it brings 17in alloy wheels, stiffer sports suspension, figure-hugging seats and various sporty styling touches, including a bodykit and a flat-bottomed steering wheel. 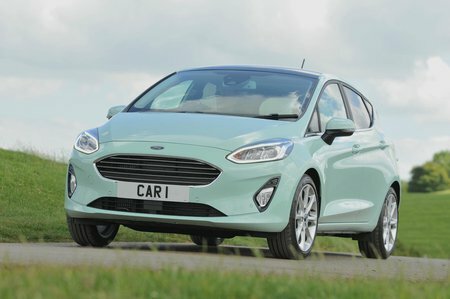 Bearing in mind that one of the main reasons to buy a Fiesta over the competition is its pert handling, we reckon that the sharper-driving ST-Line is the pick of the range, and still offers great value for money.